JYJ’s XIA has prepared eight water cannons to wash away the Summer heat for his ‘XIA 2ND ASIA TOUR CONCERT INCREDIBLE in BUSAN’ on the 10th and 11th of August. According to the agency, last week’s 60m-long and 14m-high stage in Seoul has been moved to the BEXCO in Busan. XIA Junsu’s Busan concert will also feature a live band and America’s greatest dance crew. 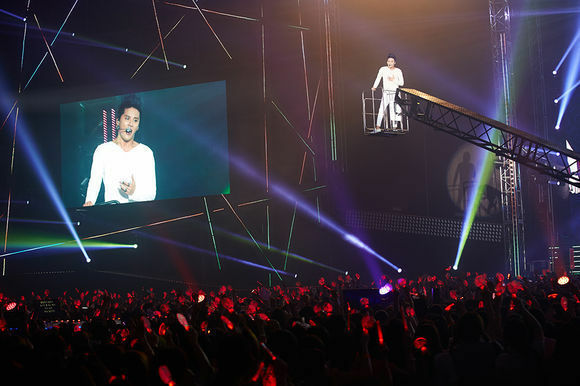 A representative stated, “We’ve taken the stage in Seoul and moved it to Busan to create a large-scale stage that allows fans to get up close and personal with XIA Junsu and his dance crew. Meanwhile, XIA Junsu’s Busan concerts will be held on the 10th and 11th of August at the BEXCO in Busan.